Description: Commitment undertaken by the regions granted “Reference Site” status to actively participate in the deployment and repeatability processes of their Good Practices, while supporting other regions that wish to implement these Good Practices. This programme aims to achieve the deployment of digital innovative solutions on a broad scale in Europe. Improve knowledge of professionals and understanding between regions. In 2016, in representation of the Basque Country, Kronikgune was awarded four projects or Twinnings, three as a reference site in risk stratification and one as a recipient region in patient empowerment. The Basque Country has gained in-depth knowledge of Good Practices implemented in Scotland focused on patient empowerment. Among other projects, Scotland presented the Living it up programme and the digital project for Primary Care called GP. Living it up was implemented in 2016 in Scotland. Thanks to this tool, the Scottish Healthcare system seeks to provide support to the patients in the management of their illness and help them in adopting healthy lifestyle habits. It intends to promote the use of new technologies to improve their health and create a community in which each patient may share their experiences. In relation to patient empowerment, the Basque Country has several educational tools and programmes, of which Osasun Eskola and Active Patient are good examples. These programmes seek to help chronic patients and their carers acquire knowledge and abilities related to their diseases and their management. They provide information and self-care empowerment, while promoting changes toward healthier lifestyles. 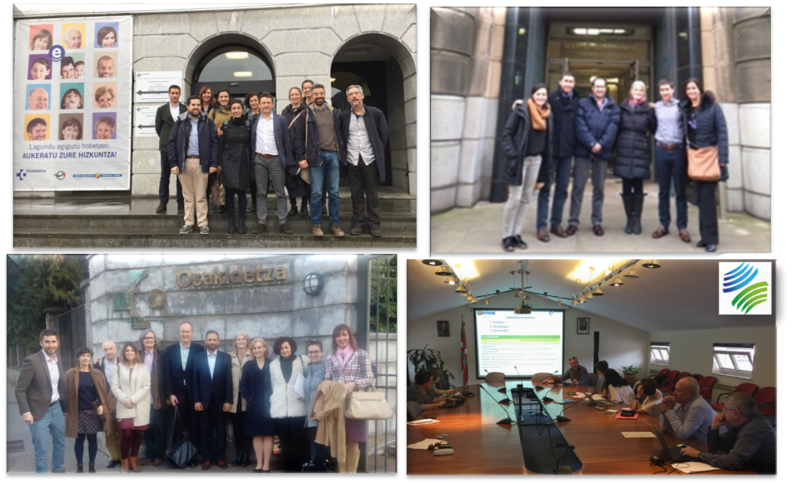 The Basque Country has shared knowledge on risk stratification Good Practice with three European regions: Liguria, Scotland and Aquitaine. Risk stratification is a tool to identify people at a higher risk of requiring more healthcare services in the future. The tool allows proposing action adapted to patients’ needs. Risk stratification is based on data and algorithms registered in the data systems. Stratification may be applied to large population groups and enables building proactive addressing strategies, i.e. : anticipating to events. The idea is to avoid or decrease the appearance of adverse events, both in terms of health and quality of life, while optimizing the use of resources. What started as a research project in 2009 was later implemented in 2011 within the framework of the strategy to address the issue of chronicity in the Basque Country. Since then, healthcare professionals can identify patients who are at higher risk of deteriorating.